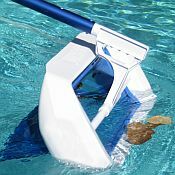 The SwivelSkim Elite Pool Skimmer makes cleaning the surface of your pools water easier than ever. You can service your pool like a professional and have every square inch of your pools surface clean in minutes with the SwivelSkim pool cleaner. The lightweight, floating, 20 inch wide SwivelSkim net is easy to lift when attached to an extension pole (not included) and can be effortlessly pushed and pulled across the pool surface to trap floating surface debris. While in the idle position, even the smallest bugs and debris you never noticed before will be trapped and retained. The SwivelSkim quickly rotates to change direction without dumping the collected debris back into your pool while the edge design captures debris adhering to the pool sidewall and there are No tools required! Floating, Swiveling net allows easy push-pull operation. No cantilevered lifting or back straining side-to-side action. SwivelSkim retains all captured debris, even in the resting position. Edge design captures debris adhering to the pool sidewall. Reach extends to the full length of any attached pole (not included). 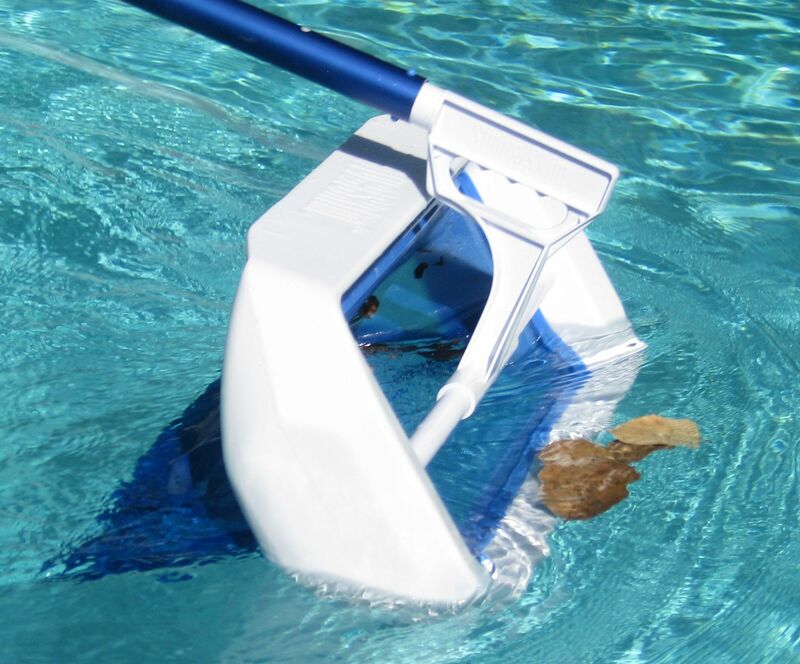 Cleans every square inch of the pool surface in minutes. Storm cleanup has never been easier, or quicker! Easy assembly no tools required. BackOrdered Until 2015. The designs of this product were recently acquired by PoolMaster Inc. The product will be available next year.